It has thick white pages with embossed edges, bound with a gold spiral and a cover that makes you so excited about your upcoming wedding. It starts out so clean and empty, but after the first few months there are magazine clippings and post its with mysterious phone numbers peeking out between the pages. And at the very back, under a page that's titled "BUDGET NOTES," you've created a chart where you are comparing at least 2 vendors in each category. 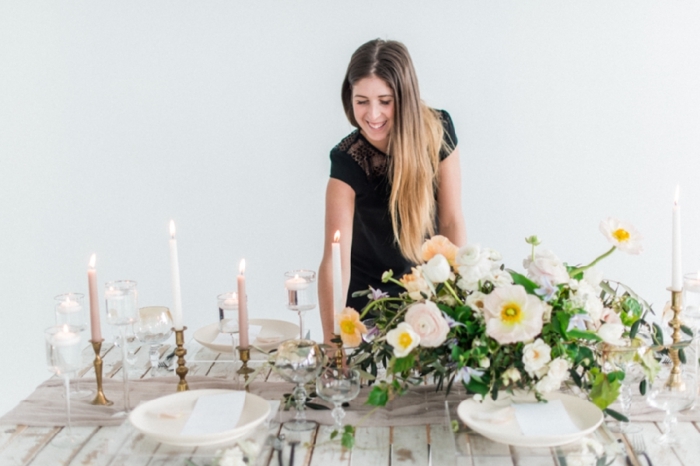 Wedding planner, photographer, hair, makeup, florals...the list goes on. 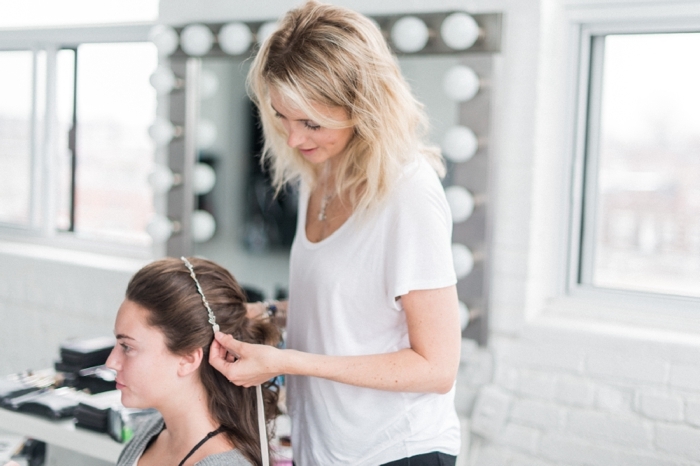 Maybe you're a decisive bride who knew right away who she wanted to work with. If that's the case, then you've already crushed this blog post and I'll let you head back over to Pinterest, which is where I know you want to be. But in case you're not, and in the event that you're sick of looking at your own cost-analysis spreadsheets, I wanted to share a few tips for choosing vendors that will add value to the experience of your wedding day. That's right, these are people who should be doing more than simply performing the task they were hired to do. They should be improving your entire bridal experience. And I'll tell you how. First of all, let's identify two different types of wedding vendors. There are people who are just really good at performing a service or creating a product, and then there are business owners. Take for example, your cousin who does an awesome smokey eye and has a Facebook page but no website, versus a professional makeup artist who operates full time, while also writing educational content on her makeup blog, teaching workshops, and dreaming of creating her own line of cosmetics. The business owner also has to be really good at doing bridal makeup, but she can't stop there. She's running a successful business and her reputation is on the line. 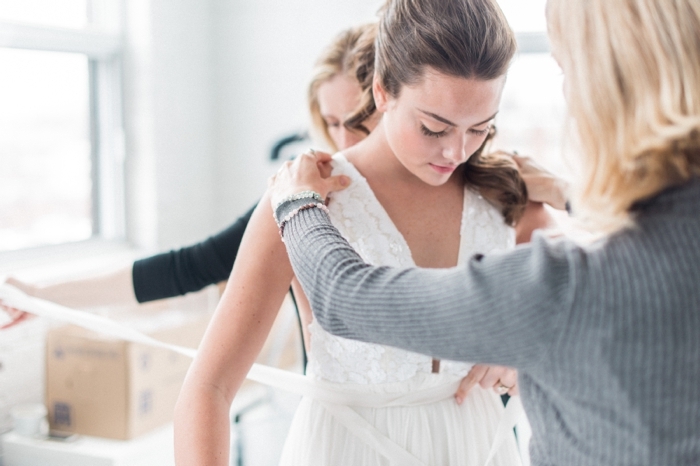 Both of these vendors will make you look magazine-ready on the big day, but only one of them will answer your last minute emails during the weeks leading up to your wedding. Only one of these people will go out of their way to educate you about the products they use, or double/triple/quadruple check that you were so happy with your makeup trial. And when you compared these two vendors in your chart, we all know who charged a little bit more. When a business owner values their time, as in, they actually quantify how much they believe they should be paid for hours worked, they are also factoring in time responding to emails, offering additional assistance to certain clients who might need more help, hiring assistants, and building relationships in their industry. When something goes wrong on the wedding day, I want the vendor who believes it's in her job description to help me. Not the one who is only there to apply the makeup. When a bride asks me for vendor recommendations I do my best to explain that the people I'm recommending are self-managers. 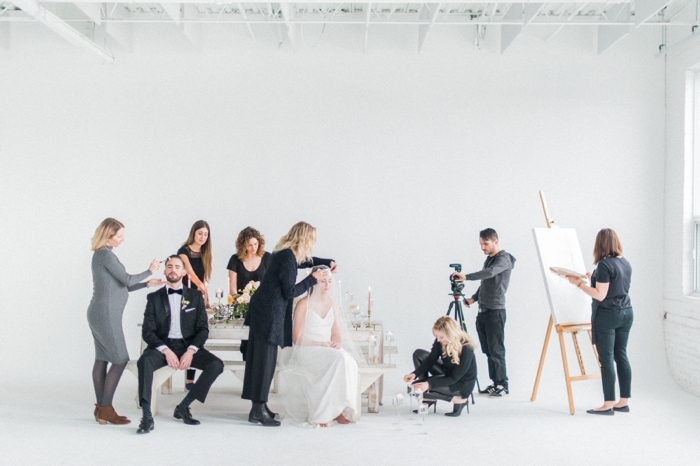 These are people who I know my brides can rely on when it comes to a) booking their wedding, b) communicating throughout the entire planning process, c) fulfilling their service/delivering their product on time or ahead of schedule, and d) managing their own process. When you hire business owners who can self-manage, you won't have to spend time managing them. A really good example of this is the part of the wedding day where family photos are taken. Someone who is really good at taking photos will follow along on a shot list that you've created. The professional photographer on the other hand, will run the show. When they click the shutter, they already know the next formation and who is needed. And not only that, but they can call everyone by name and make them feel like a VIP. And if Aunt Susan is nowhere to be found, the professional knows which bridesmaid to task with the job of hunting her down. 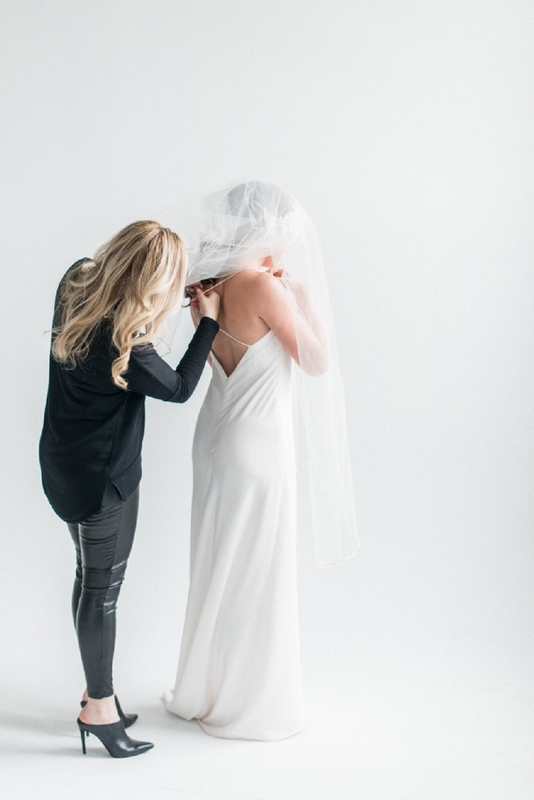 For a professional photographer, a problem is never the bride's problem. And when you're hiring a professional photographer, you're hiring someone who considers it their job to find a solution. And as a first time bride, it's difficult to understand the value of that experience when you're 14 months away from your wedding day. But maybe you've been a guest or a bridesmaid in a wedding where the family members were herded like cattle. Maybe you know there needs to be a different way. Or maybe you can picture what it would be like to have your nose in a 4-page shot list, and you've decided you'd rather be sipping champagne and laughing with your maid of honour. Trust me when I say, you'll have a whole lot more fun and be way less stressed if you're treated like a Queen by a top notch group of people. When you think of creating your list of vendors, think of these people as your teammates. These are people who are there to serve you and your wedding day. These are people you're going to want to rely on. At the end of it all, when it comes time to make a decision between two vendors on your budgeting chart, my best advice is to go with the person who you feel will come through for you no matter what. Who gives you that feeling of total and complete trust, where you can sign a contract and breathe a sigh of relief knowing that you made the right choice. I'm always thrilled when a couple loves their wedding photos, but what fills my heart with joy is the moment when they tell me that I was the best decision they made when planning their wedding. 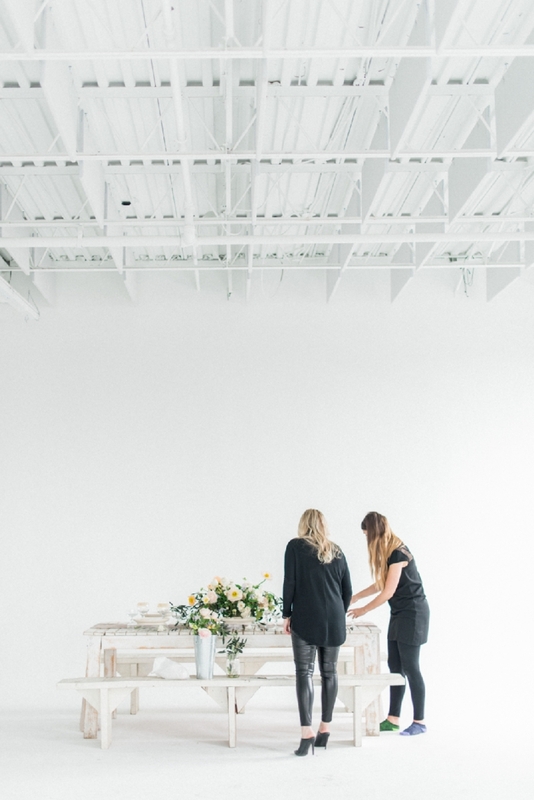 This post featured behind the scenes photos from the stunning minimalist & monochrome european inspired styled shoot that was recently featured on Ruffled. They have a list of approved caterers and valet parkers which you are required to choose from. The event coordinator from Seattle Wedding venues was very professional and cool enough to let us come in and tour on a Saturday while another wedding was setting up.